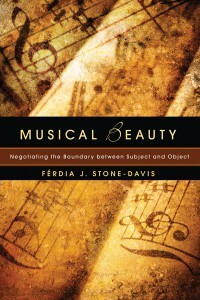 Musical Beauty: Negotiating the Boundary between Subject and Object (Cascade, 2011) takes a historical perspective on key aesthetic issues, examining Anicius Boethius and Immanuel Kant. It shows how their contrasting conceptions of beauty are formed according to prior conceptions about the self and the world (and convictions about the priority of either one or the other). In both Boethius and Kant, beauty is a term that helps establish the nature of the relationship between the self and the world, subject and object, and influences how the physicality of music and musical meaning is understood. Questioning the neglect of music’s physicality within these accounts Musical Beauty looks at the legacy of this neglect in certain strands of recent philosophy, where musical significance is often located in and determined by predominantly conceptual considerations. It also questions the modern subversion of the concept of beauty, contending that beauty is to be understood in terms of a simultaneous mutuality and irreducibility of subject and object. Here, the subject becomes porous and open to that which cannot be determined, is beyond her control, and can thus be both rich in meaning and transformative. Musical Beauty suggests that the physical aspects of music (such as the fact that music is sound waves and physically impacts upon the human body, and is produced by physical actions) are the primary means through which this interaction occurs, since it thereby has the capacity to arrest our attention, draw us towards it, and so focus our attention on the ‘other’. Beauty leads to more than just pleasure. This elegant new study argues that it can reveal epistemological insights as well, and that musical beauty in particular can help us better understand our relationship to the world around us. As Stone-Davis argues, musical beauty is the most abstract, problematic, and, for that very reason, the most revealing of all varieties of beauty in art. She brings both historical and contemporary perspectives to this wide-ranging account.